ISIS has already declared that they intend to launch attacks during the period of Ramadan and actually pick up on those attacks, Michael Maloof, former Pentagon official, told RT. Jamal Wakeem, Lebanese University in Beirut, joins the discussion. 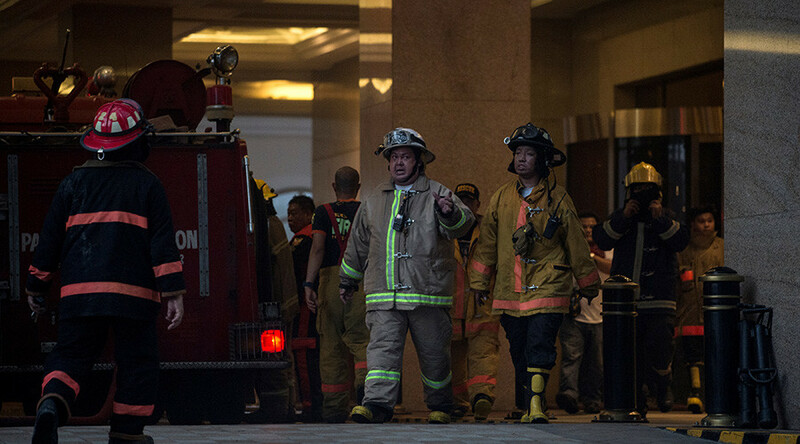 At least 36 people on Friday died in an attack on a hotel casino in the Philippines. According to police, most of those who died suffocated after a gunman set fire to the casino. The assailant was found dead in his hotel room after setting himself on fire. ISIS has claimed responsibility for the attack, while the Metropolitan Manila police deny this fact. Authorities claim the attacker's motive was robbery and there was no link to terrorism. Government forces have been waging an anti-ISIS offensive in the city of Marawi for more than a week. Moreover, the country's president, Rodrigo Duterte, declared martial law on the island where the city's located. RT: Reports are coming in that ISIS has claimed responsibility for this attack. Do you think that's the case? Michael Maloof: Yes, if they are claiming responsibility it has to be. This follows by a week a previous ISIS attack in the southern part of the Philippines. And all of this is within the period of Ramadan. ISIS has already declared that they intend to launch attacks during the period of Ramadan and actually pick up on those attacks. So this is not surprising, just as we saw the attack in Baghdad as well as in other locations. I think we’re probably going to see a string of these. It is not surprising either that it is in the Philippines because they have had increasing ISIS activity. The army has been called out, some army troops were killed recently by ISIS in the Philippines, and President Duterte of the Philippines has pledged to be ruthless about taking them out. The Philippines, by the way, is predominantly a Catholic country. Now the island Marawi, which is further in the south of the Philippines, is predominantly Muslim. But you got some other elements, some other jihadist Salafist groups that are joining in with ISIS, and are trying to make a beachhead and attacking the capital like this in a resort area is indicative of them going after the areas where there is pleasure, gambling, things that are anathema to their extremist beliefs. RT: Do you think the recent operation by the Philippine army in Marawi against ISIS could be the reason for it? MM: I think it is an extension, it is just a beginning. We’re going to probably see more of this activity in the Philippines. They are going to be hitting all around in areas. And there is a sizable Muslim population that is growing all the time and more radicalization. I expect that this is going to continue, particularly in the Philippines. What the US has to be a little concerned about certainly from our perspective is watching out for these areas where there are a lot of night clubbing, casinos, and what have you, especially during this period of Ramadan. RT: ISIS now has a presence in the Philippines as it has never had before. What can be done to solve this particular problem? Can this new martial law help? JW: First of all I believe that fighting terrorism is not only a local issue in each and every country, it should be part of a global strategy to fight terrorism. The problem is that many countries that are hit by terrorism are not supported by Western countries, mainly by the US. For example, in the last summit in Riyadh, we saw the US and Saudi Arabia claiming that it was Iran responsible for all terrorism, all around the world, which counter argues all facts published by Western media and international media in general. As long as there is no coordination among states and there is no recognition that terrorism is a global disease that is hitting all countries, and that all countries should stand together against this problem, I believe that terrorism will keep on spreading and hitting in various countries all over the world.